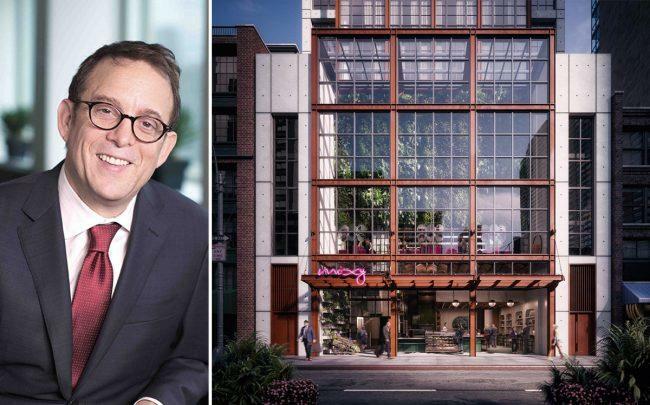 Lightstone landed a $155 million refinancing package for its 349-key Moxy Chelsea hotel. LoanCore Capital and KSL Capital Partners provided the debt for the 35-story hotel at 105 West 28th Street, Lightstone announced Wednesday. The hotel opened in February and is the second of five Moxy hotels Lightstone is developing for New York City. LoanCore and KSL did not immediately respond to requests for comment. The Commercial Observer first reported on the refinancing. The financing replaces a $58 million construction loan Bank of the Ozarks provided Lightstone for the project in 2016. Meridian Capital Group’s Drew Anderman and Ben Nevid brokered the deal. Amenities at the Chelsea hotel include the Italian restaurant Feroce on the ground floor, a co-working lounge on the second floor and a rooftop lounge with 360-degree views of the city. Lightstone’s other Moxy locations include 485 Seventh Avenue in Times Square and 112-120 East 11th Street in the East Village. The developer paid $56.6 million for the site of its Lower East Side Moxy Hotel at 151-153 Bowery and 331-337 Broome Street at the end of last year.